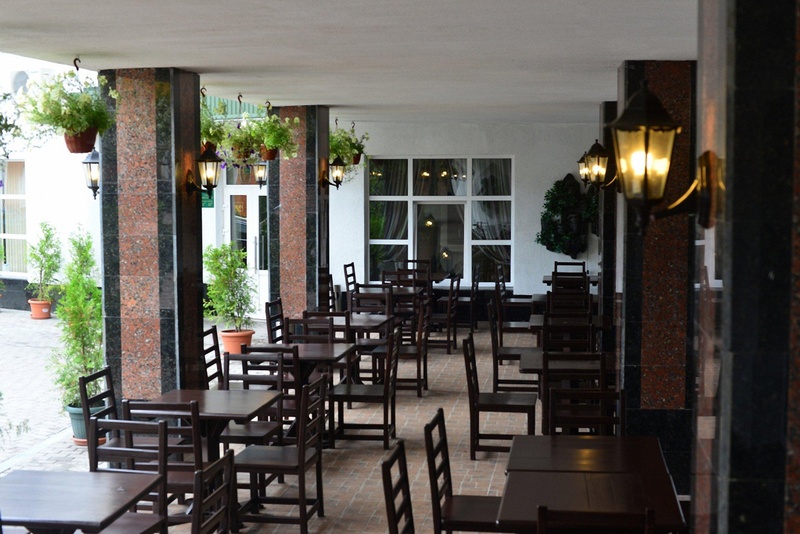 Location Verhovina Na Okruzhnoy Hotel is located in Kiev, a 10-minute drive from the ring road and a 5-minute drive from Zhytomyrska metro station. Maidan Nezalezhnosti and the famous Khreshchatyk can be reached in 30 minutes by public transport.Hotel features Guests are welcome to dine at the hotel’s restaurant serving Ukrainian and European cuisine and enjoy drinks with friends at the cozy bar. Delicious hearty breakfast can be delivered to the room. Keep in touch with your family and friends via the Internet. Laundry services are available on request. Guests arriving by car use free parking. Friendly 24-hour front desk personnel will help you choose a tour and provide all the necessary travel information.Rooms Verhovina Na Okruzhnoy Hotel offers 174 bright spacious rooms. Each room comes with a refrigerator and a TV.